That's a looker for sure. 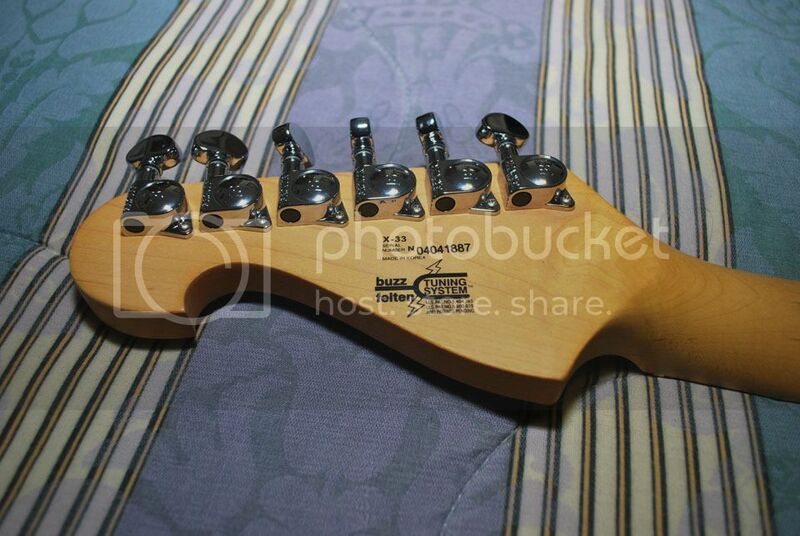 I love Strats, I have two nice ones. And what a great price. I like the Korean guitars I have had. Tom. Is that 02 a real D.G. Blackie? Tom. I'm not sure... based on the serial it may be a 2004, but I can't really tell. 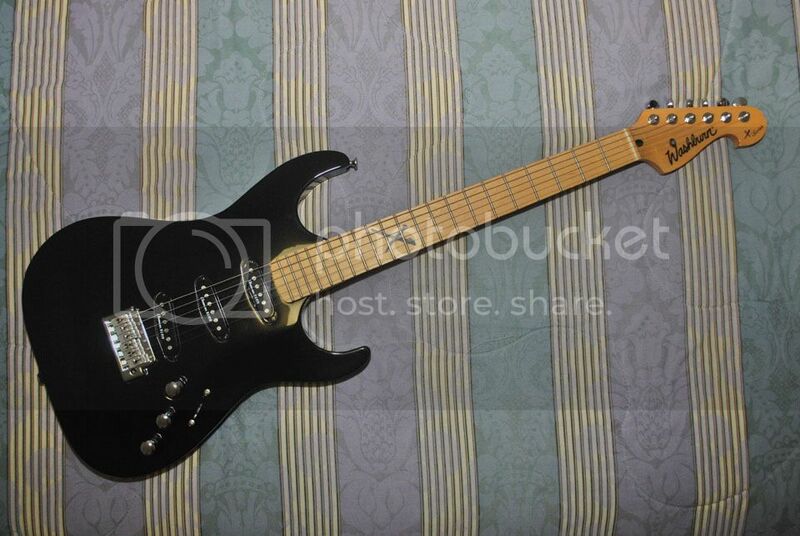 seller had 2 Washburn X-33 guitars, a black MiK with the a 'X' marker on the maple neck, the tobacco burst Indo didn't come with the 'X' and had cream colored pickup covers. 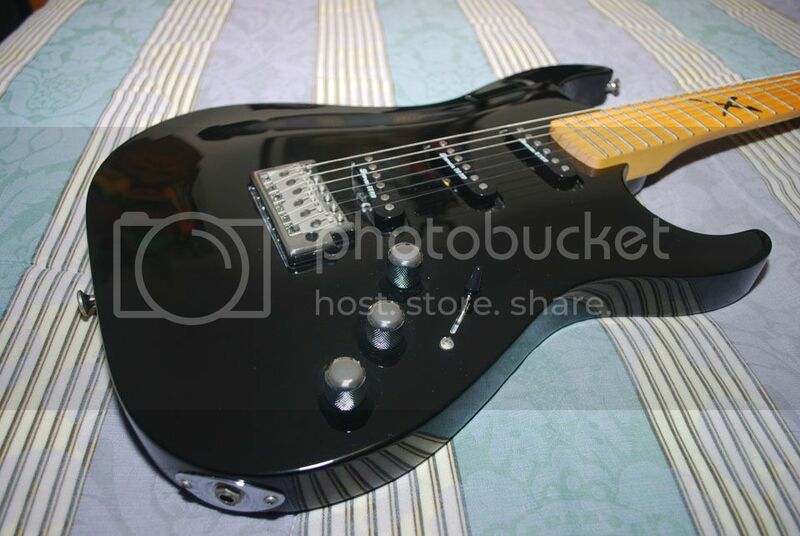 I wish I could afford a real DG Blackie. Tom. 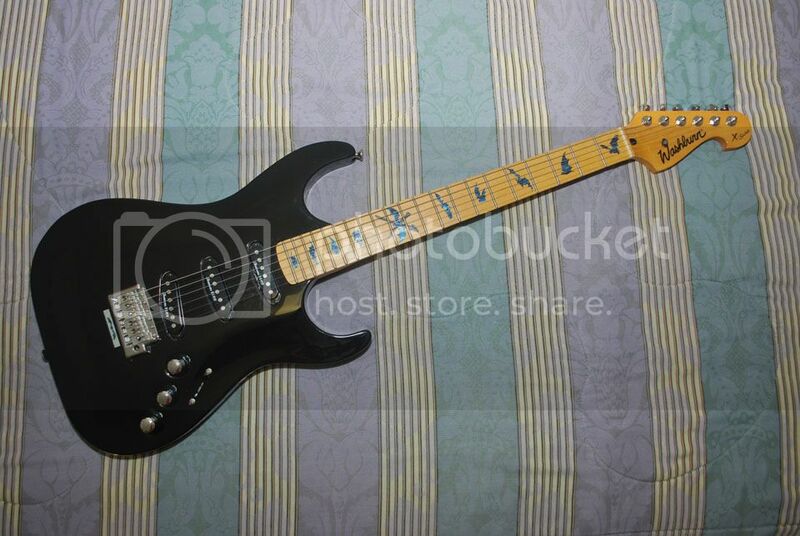 Sorry for late pictures, just got the guitar Friday 08 Nov, 2013. Anyway here they are. i decided to spruce her up a bit, give her an edgy look. 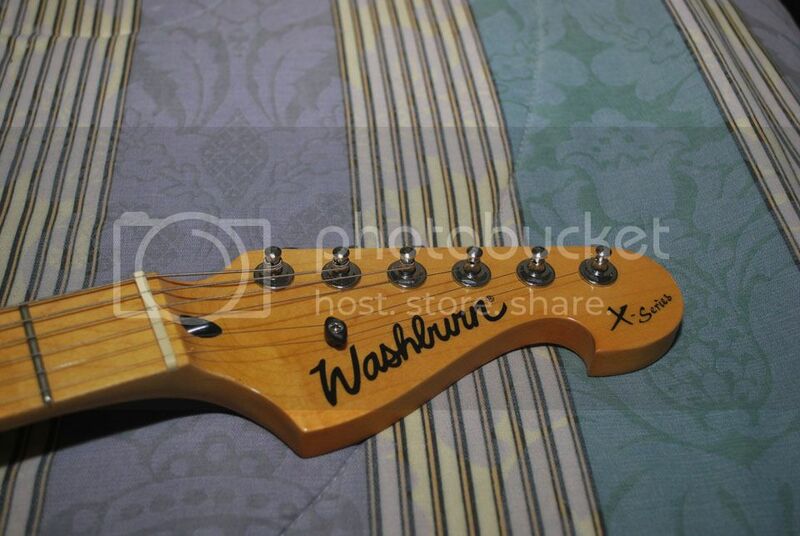 added the bat inlay.. the X and bat on the 12 fret marker look badas$.